The main feature of this mask is the field of vision which is almost completely non-impaired. 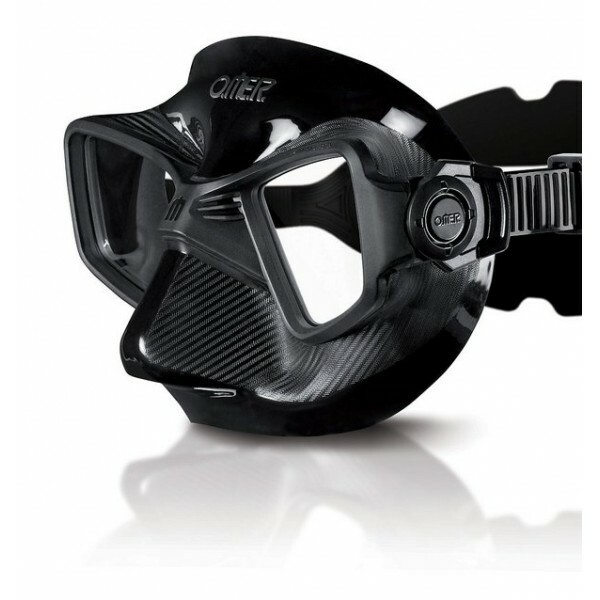 The field of vision is 30% higher, compared to a classic free diving mask such as the Alien. The internal volume is so low that if a mask like the Alien is normally equalized starting at 8-9m depth, the ZERO3 doesn't require clearing before a depth of 18m. 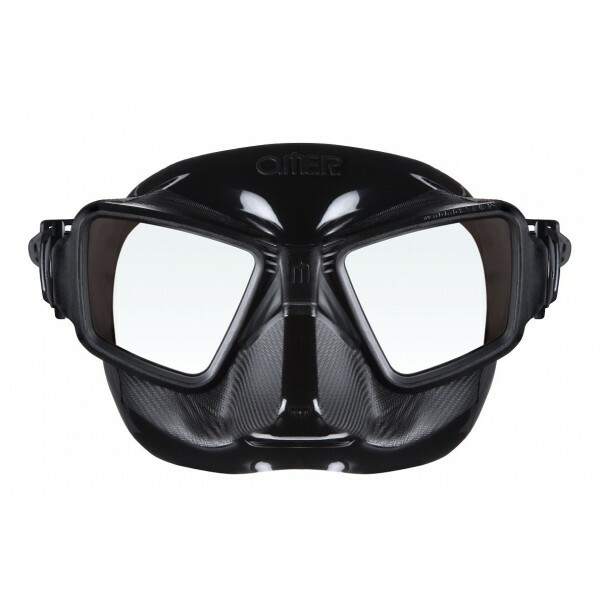 Revolutionary free diving mask with an exclusive look created in cooperation with renown automotive high performance powerhouse MOMO of Italy. This makes for much more comfortable spearfishing particularly at depth. Every detail on this mask has been conceived keeping in mind its design and functionality. The mask skirt features some milled surfaces that prevent the refraction of sunlight and make clearing easier, gloves don't slip when you hold the nose. The finish of the skirt which has a carbon fiber appearance was designed specifically to avoid glare.